This prestigious event was the first to be held in Ireland at the University of Limerick (UL). 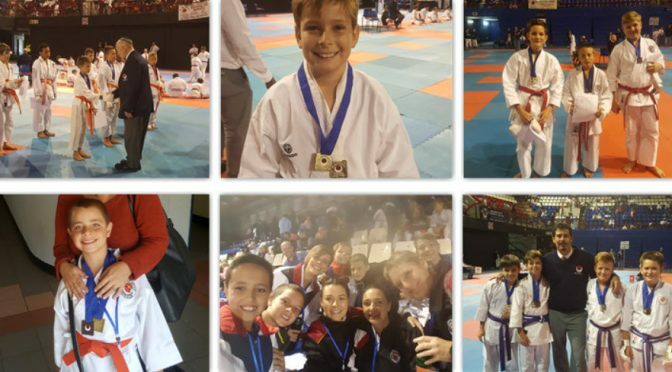 JKA World Karate Championships attracted about 2,500 competitors and supporters from 58 countries participating in the 14th Funakoshi Gichin Cup August 18 and continued until Sunday, August 20. There are impressive numbers involved in the JKA World Karate Championships 2017 with 800 fighting mats being used to make up eight tatamis and 2 400 bottles of water. 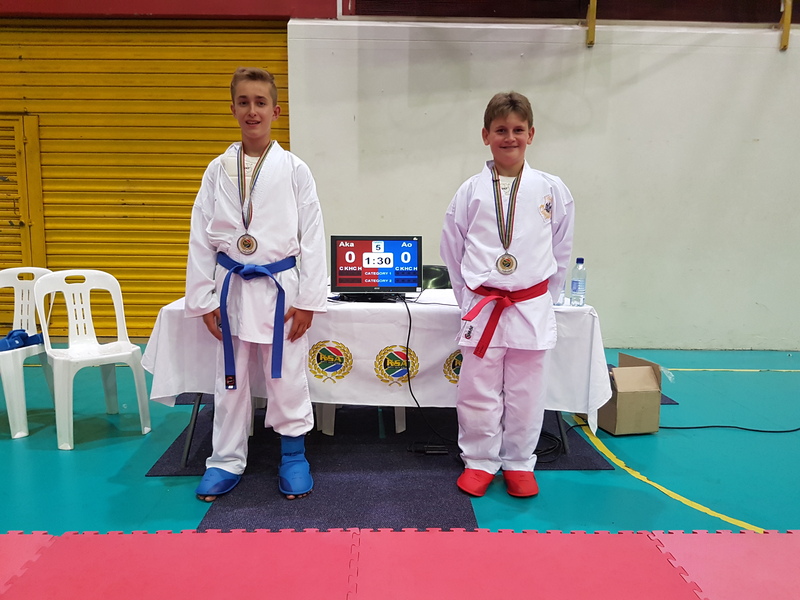 The JKA World Karate Championships 2017 took place outside Japan just once every six years and has previously been held in Australia and Thailand. This year history was made as it is the first time since 1994 that Japan gave the winning title to Chillie. JKA Ireland was founded in the early 1970s by Corkman Sensei Noel Casey, 7th Dan JKA; who has played a significant role in bringing karate in Ireland to a world-class standard. Its history is said to date back over 2000 years and involve development in India, China, Korea amongst other countries. 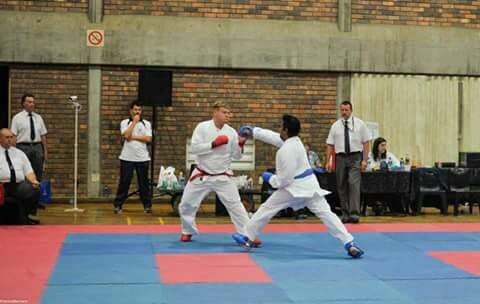 What an honour to be selected as part of the South African JKA International Team as karatekas and Coach. 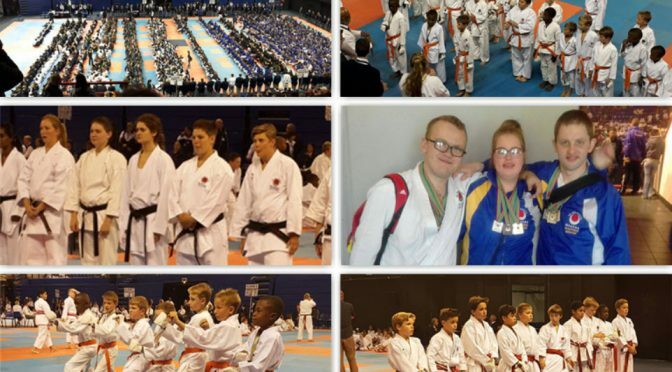 PW Pentz and Elmien Viljoen had the privilege to be part of the 14th Funakoshi Gichin Cup World Championships 2017 in Ireland. Sensei Eugene was selected as a South African coach to accompany and coach the team to Ireland. 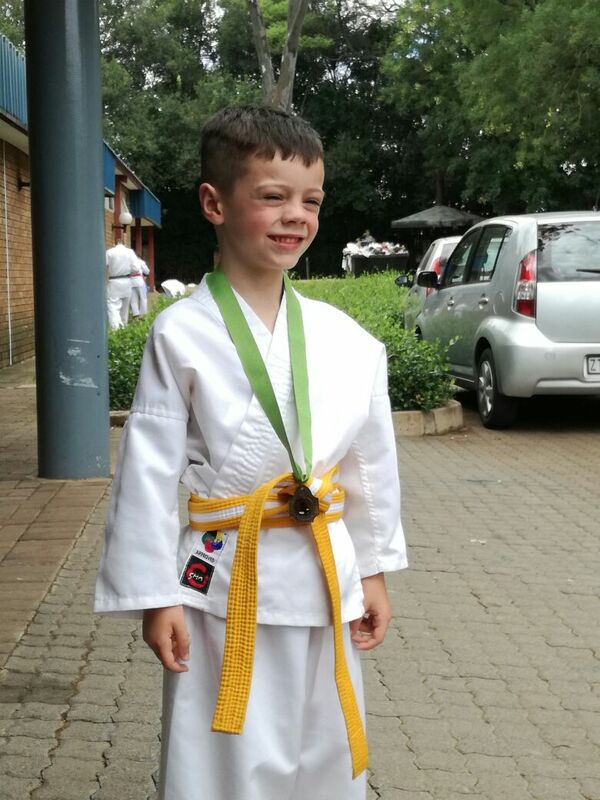 Sensei Eugene is not only a sensei or karateka but also a role model, motivator, holds strong karate values and is a great achiever on South African and International soil. He believes in the harder you work in your karate the more satisfying is your results. After 2 months of hard training and long hours of body and mind preparation, the day came to face their opponents. Still convincing your body to let your mind do the work, nerves kicked in and your heart is about to climb out of your throat. After a long flight they arrived at Shannon International Airport, 25 km alongside the N18, in the spectacular green clean city Limerick, a city of many contrasts, first City of Culture, which managed to successfully blend the modern with the historic. The weather was from shiny the one minute to dripping wet the other. They stayed in the luxurious hostels at the University of Limerick. 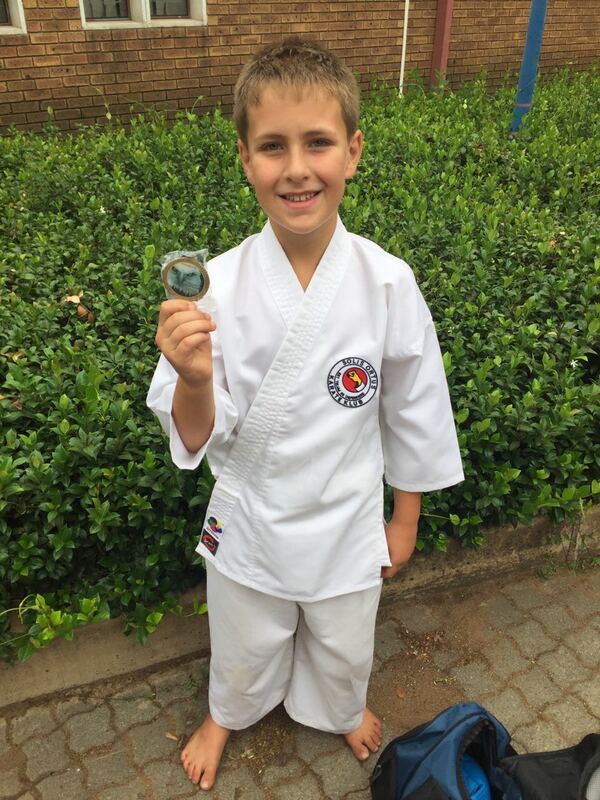 PW Pentz started his karate journey when he was 7 years old. His heart beats karate. He eats, drinks and sleeps karate. He always dreamed to achieve high ranks in his beloved sport. 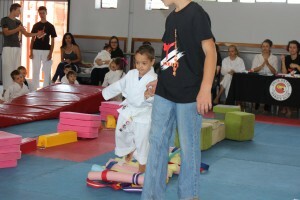 Karate for PW is a lifestyle although he loves to compete and to improve himself. He is a dedicated hard working 12 year old, who is determined to improve and achieve. He practice 2-3 hours five days a week. His preparation for Ireland consisted of continuous hard work and concentration on faster movements with his feet and strong fast punches. 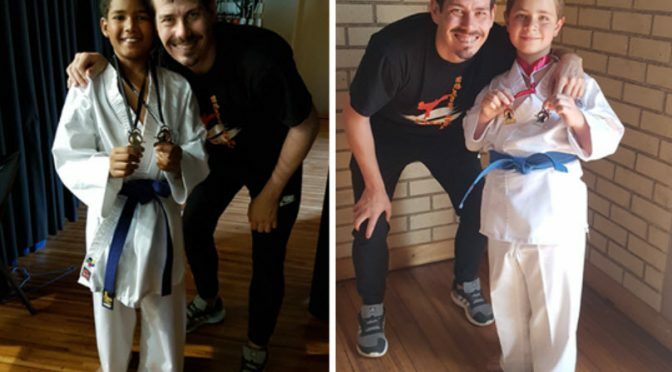 He also trained by improving his kumite techniques such as keep distance, attacking and defending techniques and more effective kicking. With no expectations, a lot of nerves and guts he competed against 34 competitors in his division. He had four fights. In the first round he fought against Japan, second round Russia and third round Canada. After three successful wins he faced Japan again. He admitted that it was hard, mentally and physically, but prevailed and made history for Solis Ortus. It is the first time in the history of Solis Ortus karate club that someone achieved a medal in the junior division. Sensei Eugene bursting with pride and is humbled with the fact that to receive a place in an International Championship is a huge achievement. Solis Ortus salutes you PW and stand proud next to you lifting you up to celebrate your victory and achievement. PW got bronze and ranked number 3 in the world in his division! His parents, Pieter and Iris, are extremely proud of him. In the interview they humble themselves with PW’s achievement and stated they did not expect a medal, being there is already a big achievement. 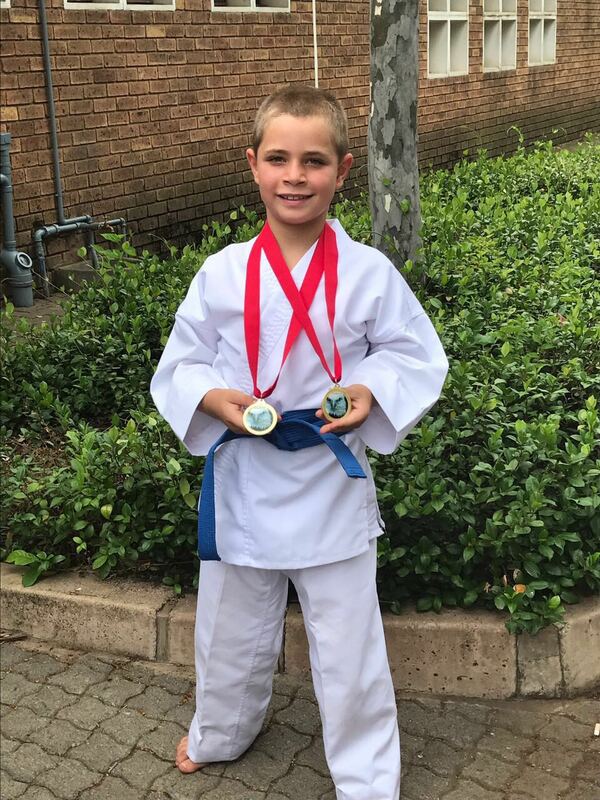 PW, happy and proud and cannot thank his parents enough, especially his father for all his support in his karate journey. He also give thanks to Sensei Eugene his role model and motivator. PW is already planning to start preparing himself for Tokyo 2020. His goal is to achieve the ultimate. He made a lot of new friends and will cherish his experiences in Limerick. 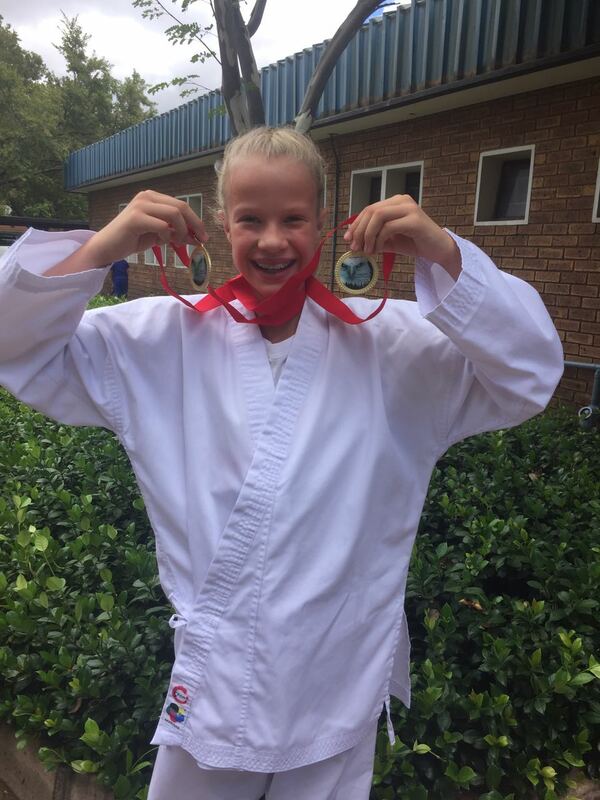 Elmien Viljoen, 1st Dan, 16 year old karateka started her karate journey when she was 7 years old. She is a formidable athlete with high goals and achievements. 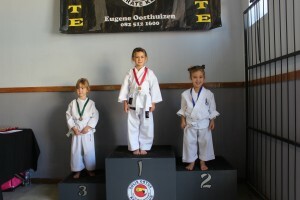 She won many JKA kumite divisions in her age group over the years. Her biggest dream is to represent her country at Shotocup. With determination, hard work, focus and a goal like bulls eye, she prepared herself as her dream aroused in front of her. She can touch it for the first time, as number 1 SA JKA Kumite Champ 2017. At last, now she can pack her bags, go to Ireland and represent her country. What an honour. Elmien worked hard on her fitness, kicks and distance in-between school demands and studies as a grade 11 pupil. Her division was massive with 62 competitors all over the world. It was quite intimidating to see them all standing ready with no tatami in sight. Most of the girls was already 18 and 19 years old, knowing each other as the years passed by, and always meeting as competitors on common ground. Competition was tough, extremely fast and of a very high standard. Unfortunately Elmien fell out against Argentina in the first round. She was sad and disappointed but luckily Elmien has her eye still on the prize and above the honour of being there for the first time, she will push herself to do better and prepare herself for greatness to be back in Tokyo 2020. Her desire for greatness is the key to her motivation, but her determination and commitment to an unrelenting pursuit of her goal – a commitment to excellence – will enable Elmien to attain the success she seeks. One of Elmien’s characteristics is, once she dealt with disappointments, motivation kicks in and she can focus on her purpose for the next goal. 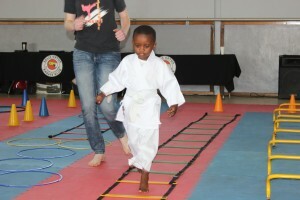 Her mother, Sonja, also a 1st Dan karateka, mentioned that karate is a learning curve for life. As a sport it also has its ups and downs as in true life scenarios. Karate teach you to overcome disappointments, to perform under stress and arise victoriously in every situation. Solis Ortus stand in awe of Elmien’s strong character and is proud in her achievement as ambassador for Solis Ortus and her country. 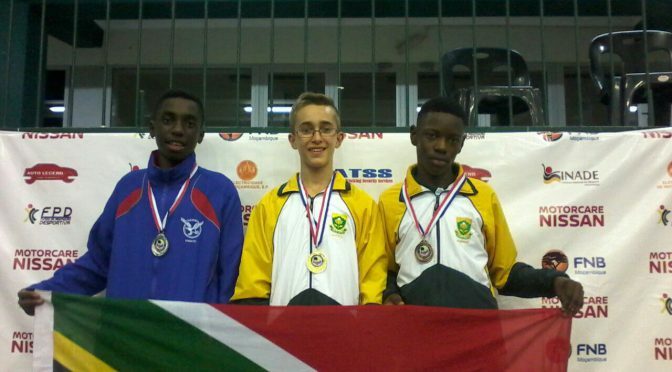 Well done, you deserve to be part of our SA JKA National Team and looking forward to see you in 2020. It never gets easier. YOU get better! Solis Ortus is exceedingly proud of PW and Elmien that touched the feeling of their dreams. The great future belongs to those who have strong vision and determination. It doesn’t matter where you are now, starting well and finishing strong is all that matters. This weekend 6 Solis Ortus karatekas participated in 2 separate tournaments, the Walk a Mile and the Samurai Cup. 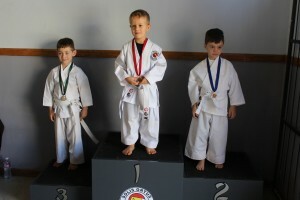 Every time our karatekas compete they achieve great rewards for their hard work as competitors. It is fantastic to see how our kids grow with every tournament and get rewarded for their efforts. In the Walk a Mile Tournament 2 karatekas competed and brought home 2 gold and 1 bronze medal. In the Samurai Cup Solis Ortus achieved 3 gold, 1 silver and 2 bronze medals. What an achievement! In total Solis Ortus received 5 gold, 1 silver and 3 bronze medals. OSS- SOME! Sensei Eugene is extremely thrilled and proud as a sensei of all your achievements and is looking forward to see you compete more and more growing into great champions one day. 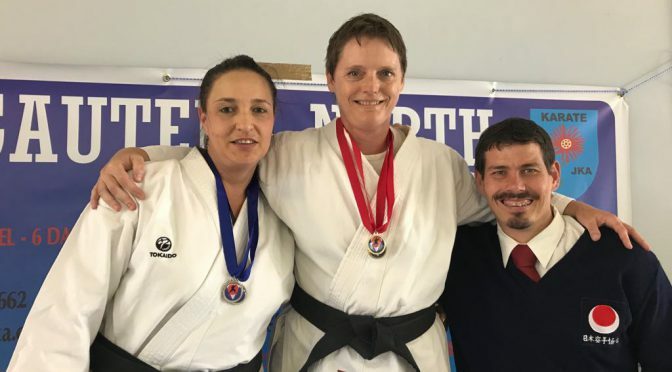 This weekend all the Provinces in South Africa came together to compete against each other to achieve the highest goal they can in their karate journey. 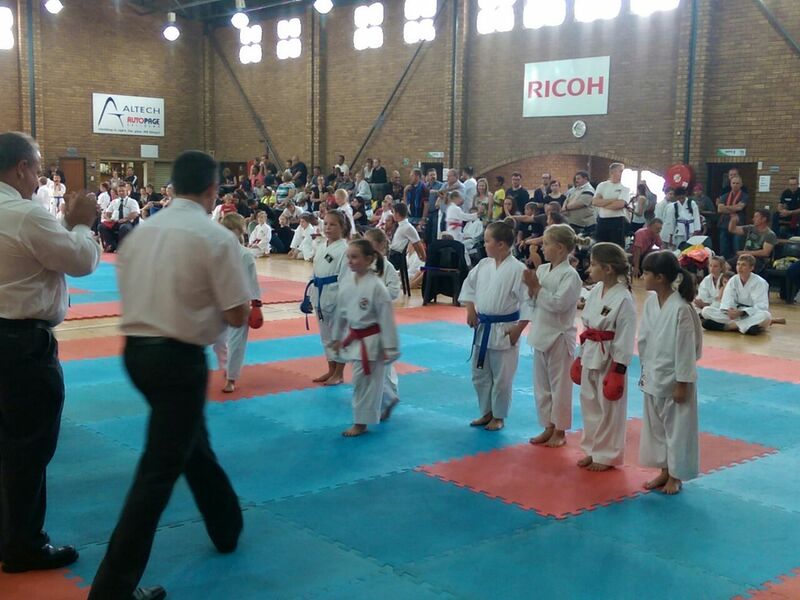 More than 3000 competitors entered to compete for their SA JKA colours. Solis Ortus stand proud to have entered 41 competitors between the ages 6 and 52. On Friday the event was opened with the Special needs division. What a privilege to be part of such incredible talent. They worked so hard to come and show off their karate. 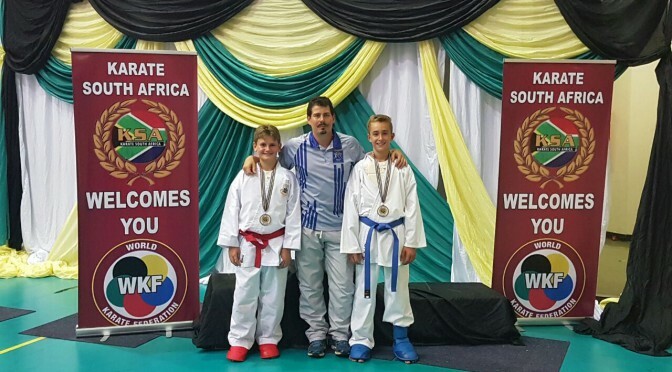 After many tears of joy, all three of Solis Ortus karatekas achieved their SA JKA colours. Congratulations to Pieter, Julia and James. We are extremely proud of you and wish you only success. 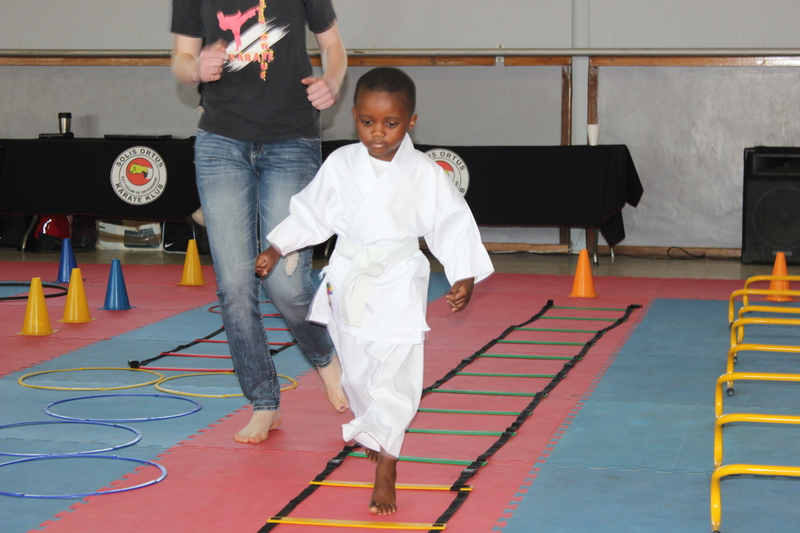 The karatekas had to face huge divisions but our karate kids excelled through every division. Many received medals and Solis Ortus wants to congratulate everyone. May today’s success be the beginning of tomorrow’s achievements. To those who did not receive any medals, remember you are already winners as it took guts and hard work to get there. The fact that you participated makes you a winner, the fact that you put your feet onto the tatami’s (mats) makes you a winner. A medal cannot determine a winner from a looser it makes you strong in character and gives you a vision to strive higher. Keep on practising next year is on our doorsteps. On Saturday the Elite section came from all over the country to compete. Wow, what a day. 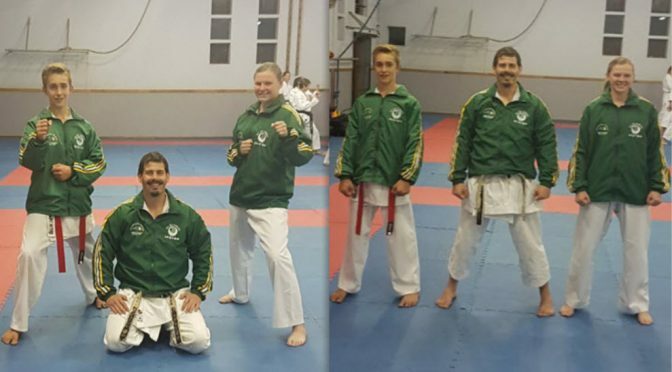 Many karatekas prepared with a purpose not only to receive their SA JKA colours, but to be part of the 14th Gichin Funakoshi Cup in Ireland in August 2017. The quote “No guts, no glory” really came to impress itself amongst these competitors. With mammoth divisions and hour after hour of hardships the victory came as a final demand. Solis Ortus wants to congratulate Sandra Erasmus, Elmien Viljoen and PW Pentz for qualifying for this prestigious event. Sensei Eugene is incredibly proud of you and wish you all the best. The sky is the limit. Apart from our International stars Solis Ortus did well in the Elite group. 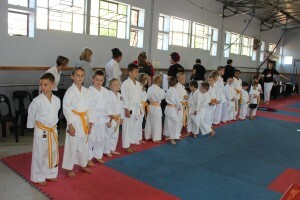 To all the karatekas who received their SA JKA colours, well done. Solis Ortus cannot stress enough what a proud dojo we are of everyone’s achievement. 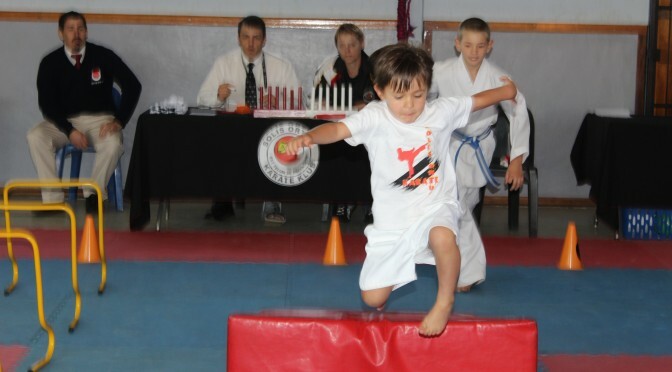 After a cold rainy winter’s day, Solis Ortus karatekas did well at the Bulls Challenge. To everyone who competed well done; and to those who received medals congratulations. Solis Ortus is extremely proud of each and every one of you. We had 9 karatekas who competed of which 5 have medalled. Well done! 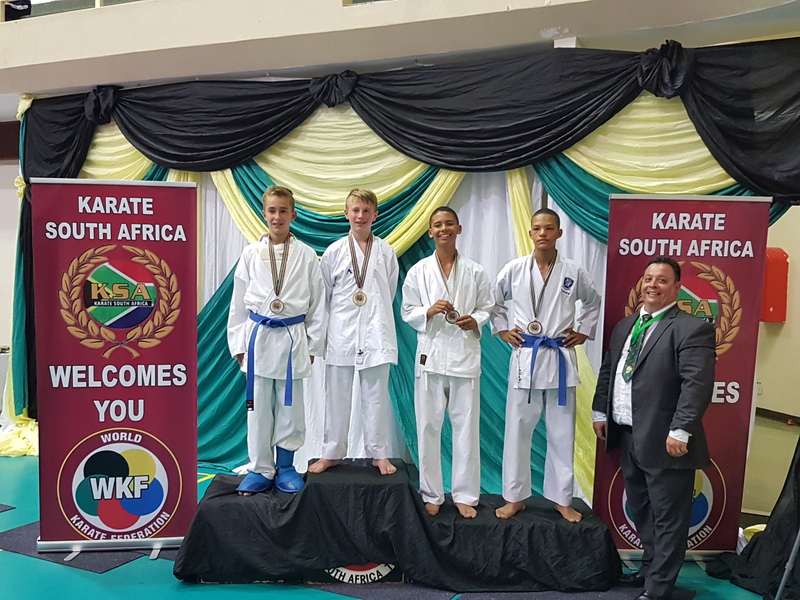 Solis Ortus wants to congratulate PW Pentz and Milan Kruger with their exceptional performance in kumite at the Arnold Classic Tournament. They both achieved bronze medals. Well done guys. Solis Ortus is proud of you and wishes you all the best for any upcoming tournaments. Solis Ortus wants to congratulate all our karatekas who competed this weekend. You all worked so hard for this moment to achieve your highest expectations. Well done. To Solis Ortus you are all CHAMPIONS! 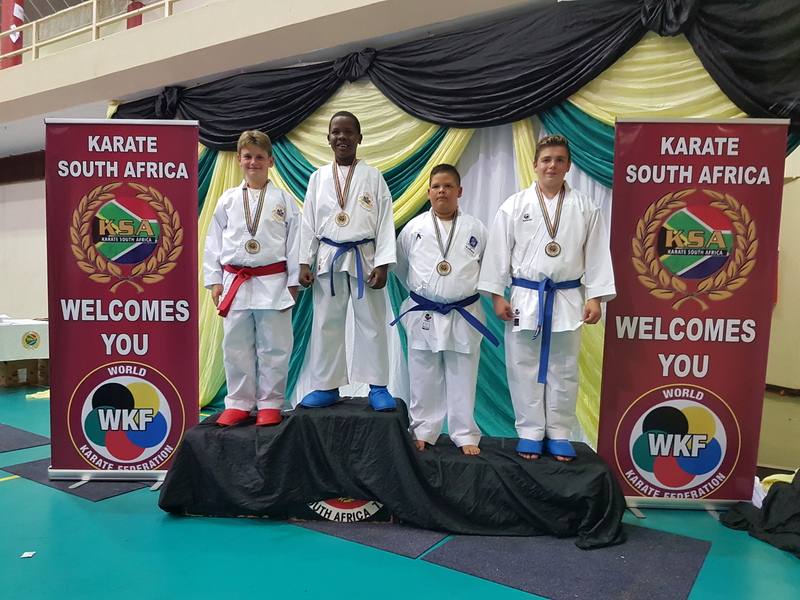 Solis Ortus did exceptionally well this weekend at the JKA Gauteng Tournament held at the Standard Bank Arena, Johannesburg on Friday and Saturday. Our contestants were well prepared and their spirits were on a high. 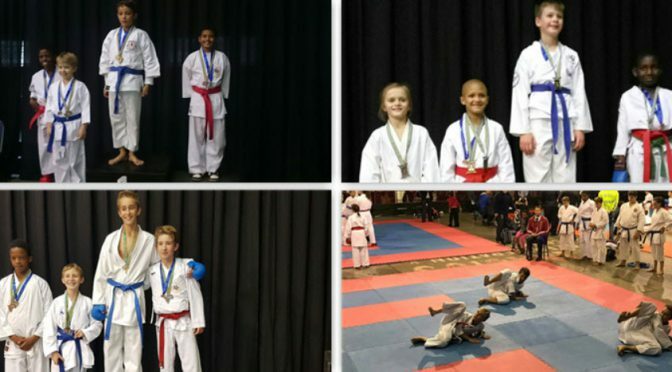 On Friday our Novice Champs (White to Red Belt and Disabled) arrived bright and early at the arena to face their challenge to become National champs in May. They were not deterred by die traffic which we all experienced travelling to the venue. They arrived ready and amped! Some of the divisions were very big, but our contestants had the heart of a tiger. Competition was tough but with all the preparation and hard work the results were outstanding. There were 97 divisions in which Solis Ortus participated. The overall standard of the tournament was extremely high and our karatekas never fail to impress. 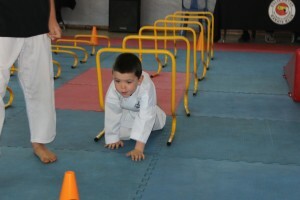 Solis Ortus had 38 karatekas registered in the Novice and Disabled divisions. 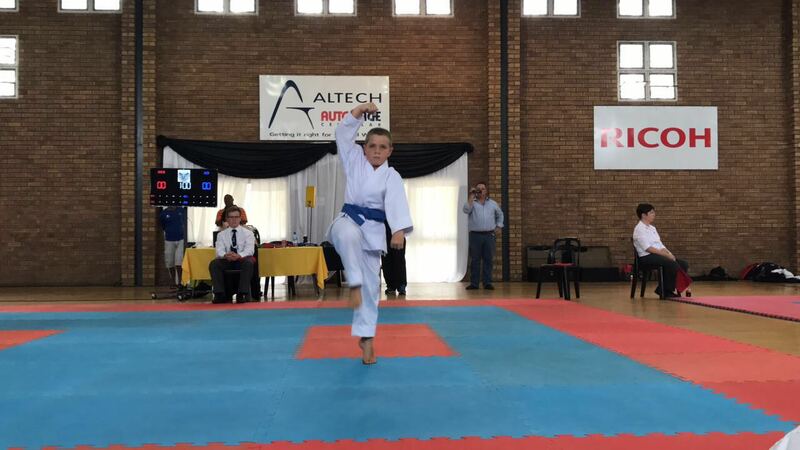 The first 8 places secured a place to compete for SA JKA National colours in May. It is amazing to see how each karateka has grown to become the best they can be. They have so much heart in what they do and accomplished their highest expectations. Sensei Eugene is extremely proud of every one of you. On Saturday the Elite Junior to U/21 and Senior Elite black belt divisions took the floor with a roar. The standard was exceptionally high and some divisions took almost two hours to complete. Solis Ortus contestants persevered and came out on top of each division. 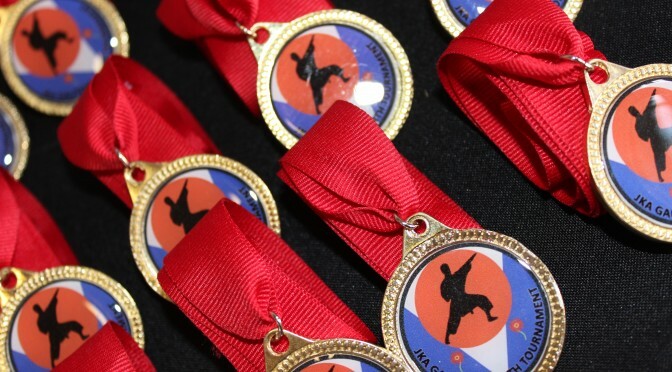 Red belts who aimed to qualify for International participation have to enter the Elite Section at the Provincial Tournament and the National Tournament, and need to be graded to brown belt before the 14th Gichin Funakoshi Cup (JKA WORLD CHAMPIONSHIPS) in August 2017, if they qualify for the team. To ensure the selection of the strongest possible team for the 14th Gichin Funakoshi Cup, to be held in Limerick, Ireland on 18th – 20th August 2017, kumite will be judged on a repecharge system. Solis Ortus had 15 karatekas registered in the Elite division. 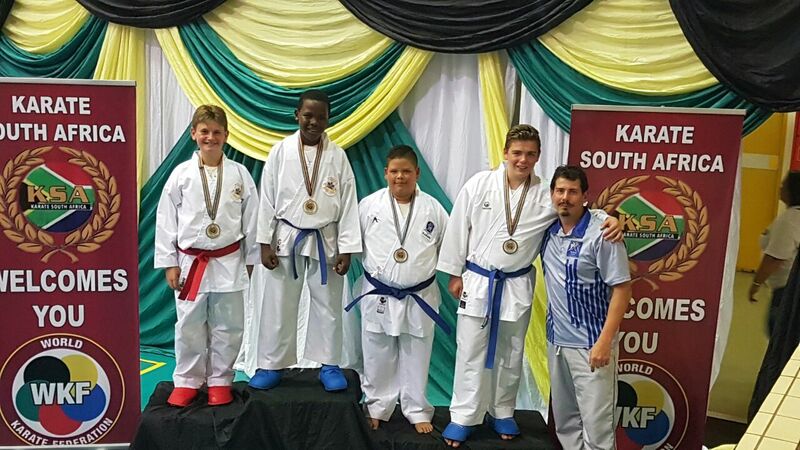 The first 8 places secured a place to compete for SA JKA National colours in May. There is just no rest for all our champion karatekas. As we finish one tournament we start preparing for the next. 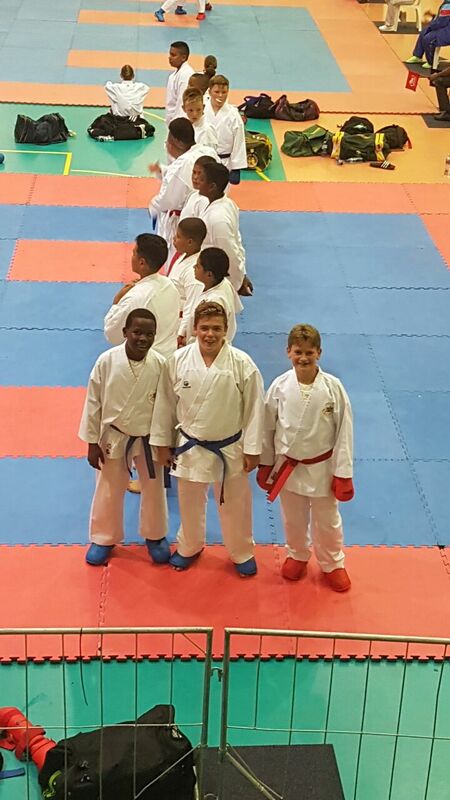 On Saturday, 5 November 2016 we competed in the Gauteng North JKA Tournament as qualifying tournament for all SA JKA 2017 tournaments. The tournament was attended by 6 dojos. Solis Ortus students pitch in the majority and most of our students qualified for SA JKA 2017! 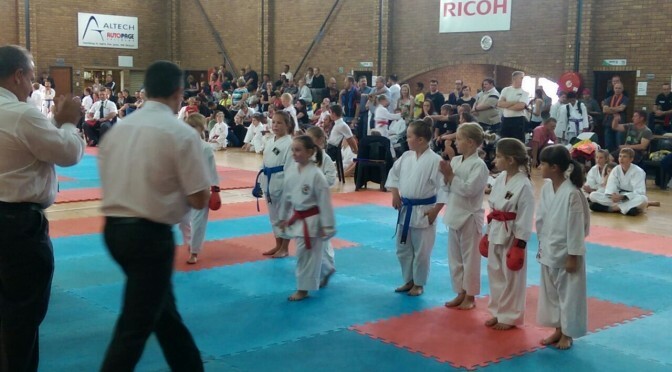 Our sensei and our instructors are very proud of each competitor. 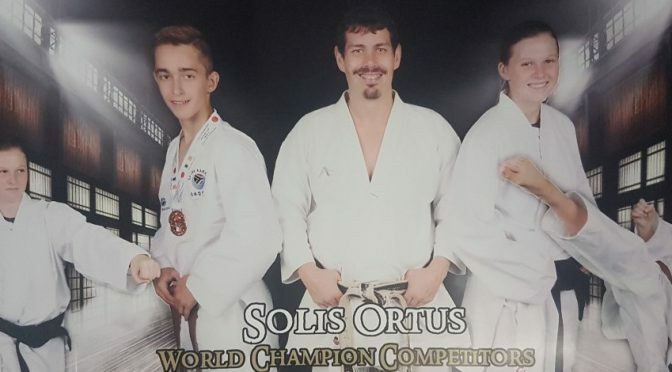 From the photos it is clear that Solis Ortus is a close knit family and without the assistance of everybody, we will not be the best dojo! This was a serious tournament, but nothing can ever stop us from having loads of fun while we compete. Looking forward to seeing everybody, including our fellow JKA Dojos at the 2017 SA JKA Nationals.